Hi. I’m Peta Hardley, your Kumeu based Marriage Celebrant. Congratulations on deciding to tie the knot and for also choosing lovely Markovina as your wedding venue. Well done both of you! 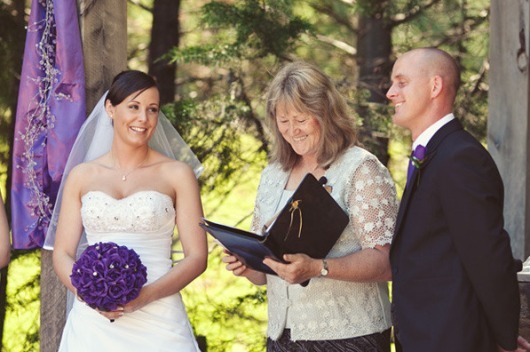 I’m a friendly, experienced celebrant and I take pride in helping couples get the ceremony that is just right for them. From traditional, detailed and formal, to relaxed, fun loving or even zany. Having officiated at weddings for nearly 20 years, I can expertly help guide you through the journey of including creative ideas, as well as ensuring that all the legal and practical requirements are met. Your ceremony will be wonderfully personal, warm, memorable to your guests, and fit you both perfectly. That’s my promise to you! No ‘cut and paste’ ceremonies. Your wedding, your way!